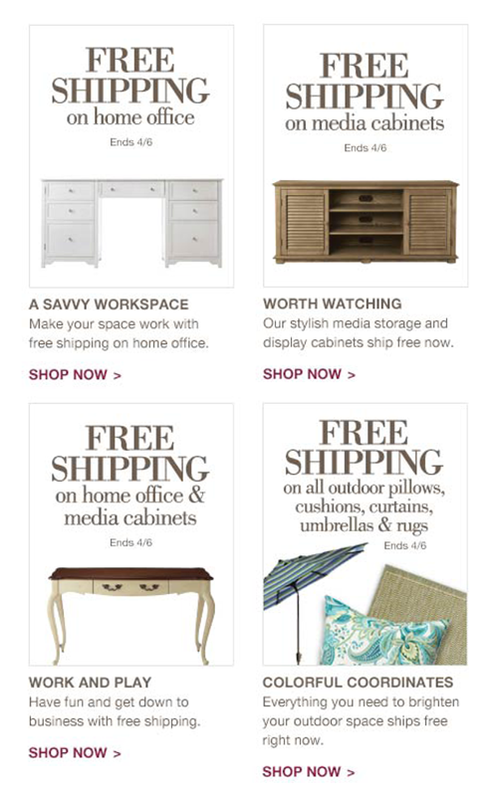 This set of banner ads for free shipping on home office, media cabinets, and outdoor went live on HomeDecorators.com on March 3, 2015. They appeared individually in flyout menus that dropped down from the top menu of the website. I wrote the headline and sales copy beneath each outlined image.